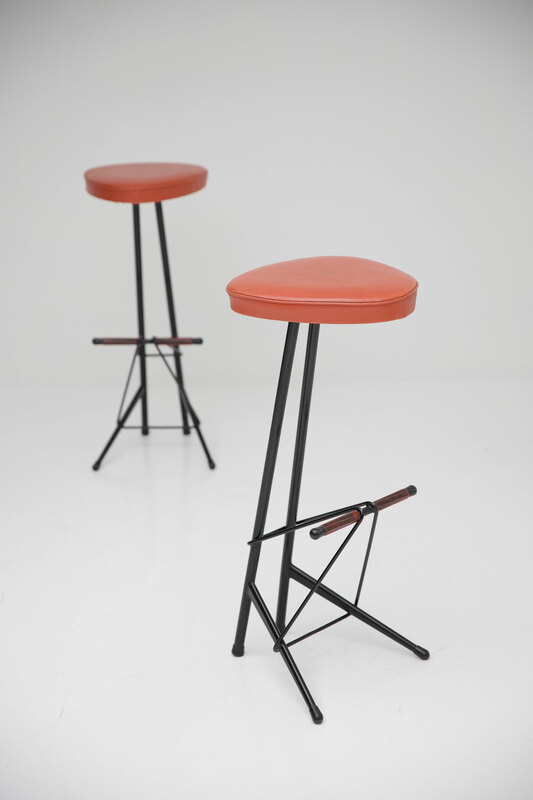 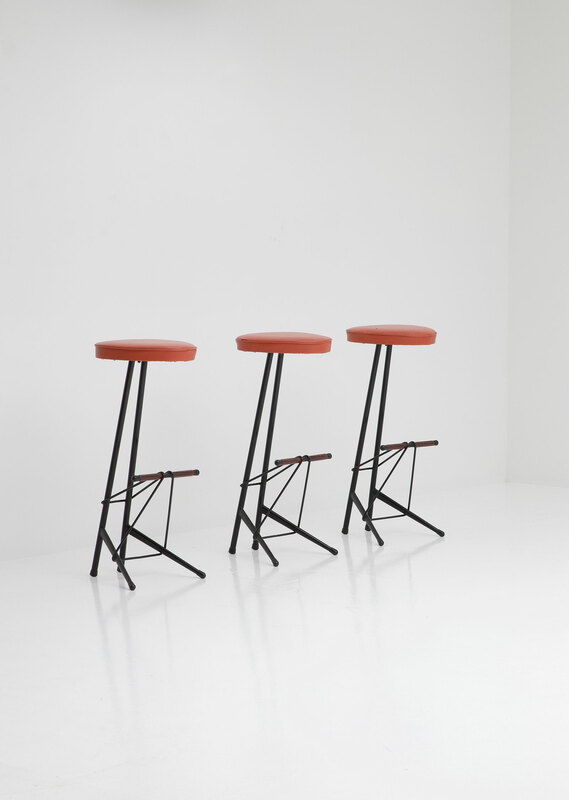 Hard to find set of bar stools designed by architect Willy Van Der Meeren, produced by Tubax Belgium in the 50s. 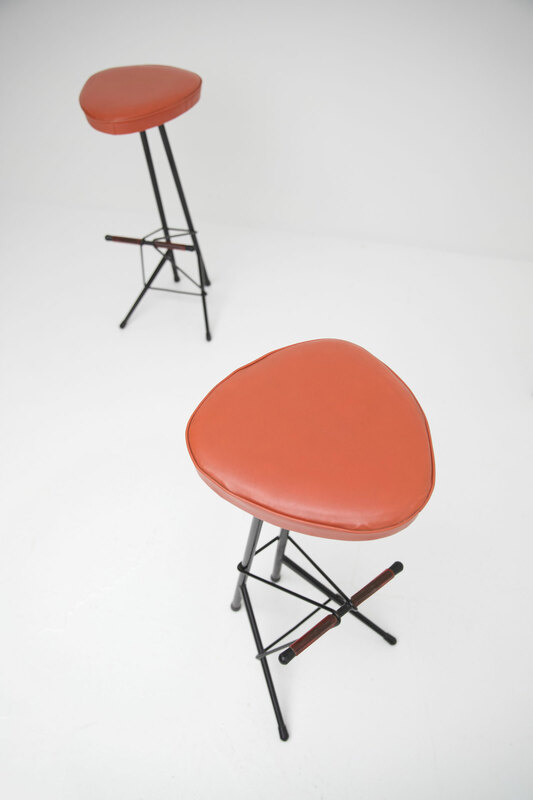 The production was very limited which makes this stools hard to find these days. 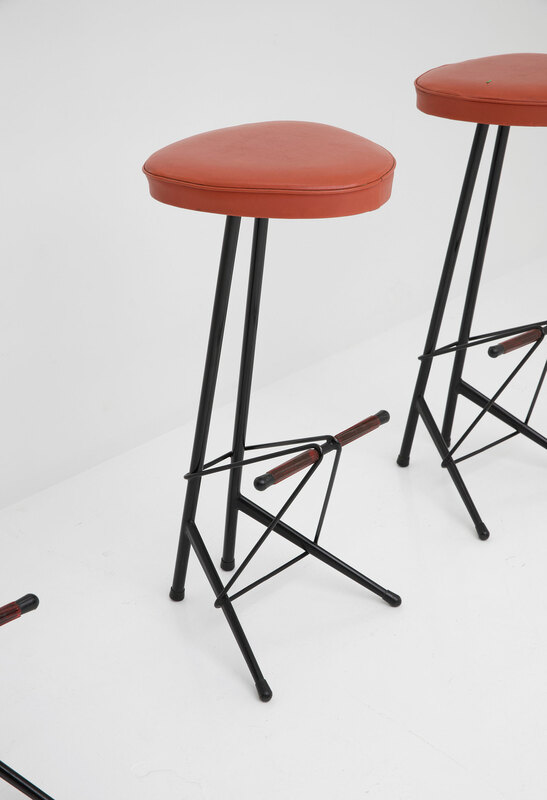 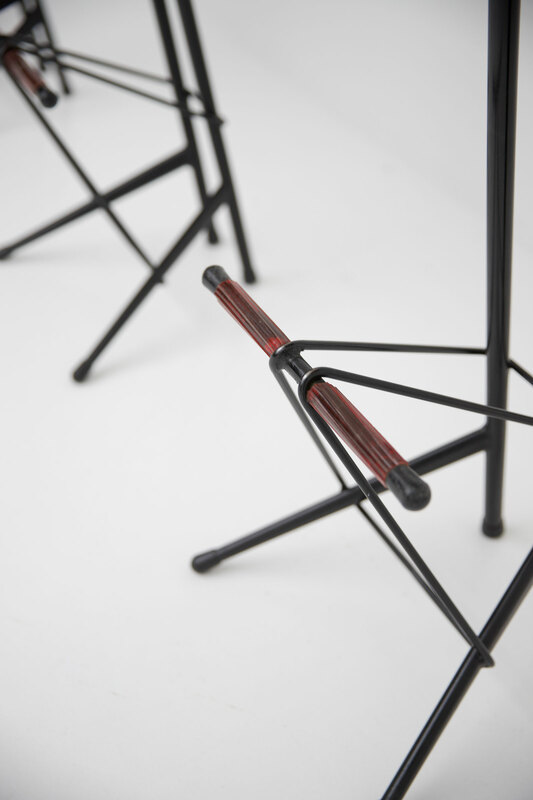 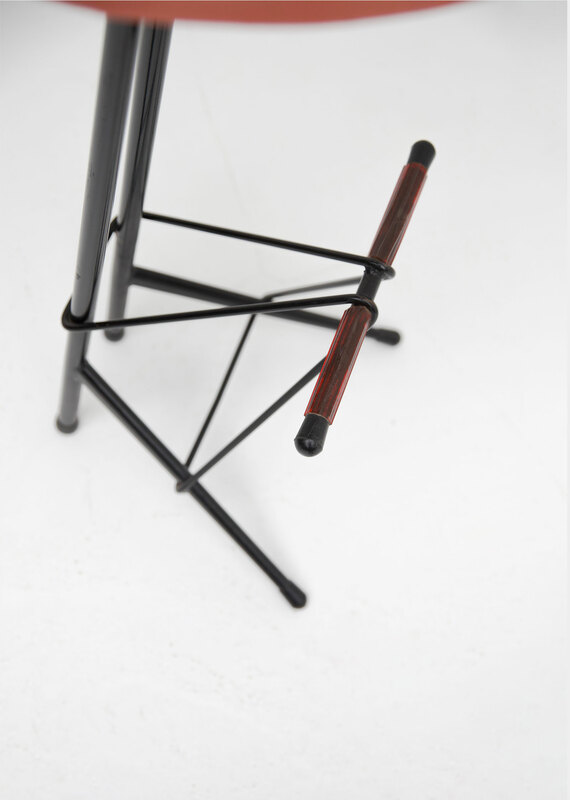 The bar stools have a black tubular structure frame, the footrest are finished with red colored tubes made of hoses. 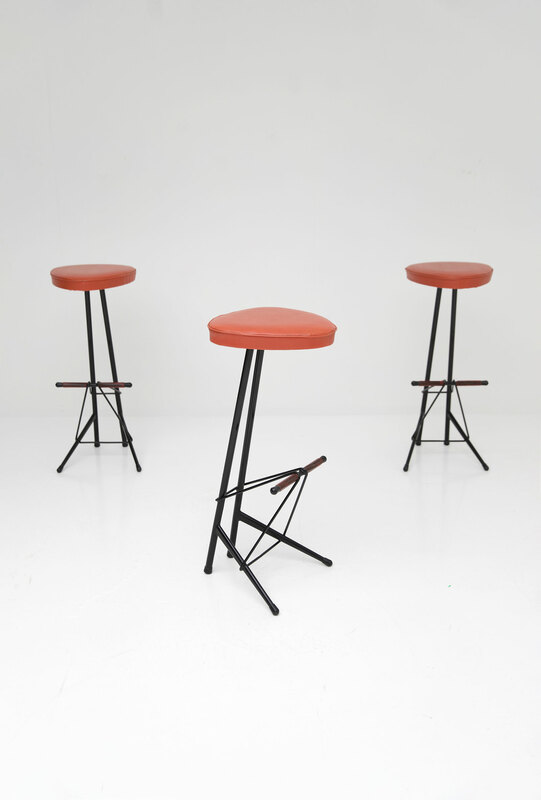 The stools are in a very good condition and rare find for any collector.